Martin Scicluna, the first chairman of the island’s only independent, non-partisan think tank, explained how saddened he was by news it had closed up shop due to a lack of funding. “I had heard of difficulties the think tank was facing but never thought it would be so bad that it would give up. This is a time that we need a non-partisan think tank more than ever,” Mr Scicluna said, adding he had been taken aback by the news. 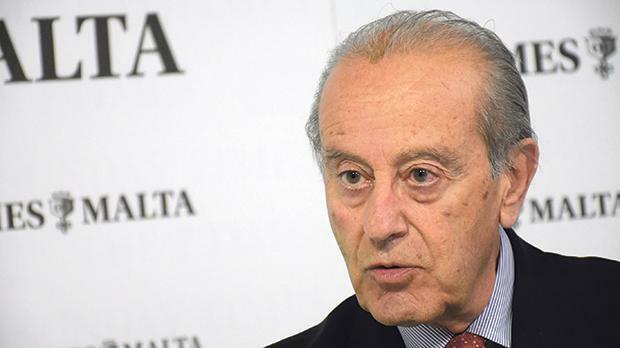 The Sunday Times of Malta reported the Today Public Policy Institute’s funding problems were driven, according to director Joseph Tabone, by businesses’ fear of the government. Mr Tabone, who has headed the institute since March 2017, said that efforts to secure funding had been largely unsuccessful, with businesses responding with “caution” to the think tank’s approaches. “With a few exceptions, they had concerns that their business may suffer by association if we did anything to alienate the government,” he said. Mr Scicluna said meanwhile he had hoped that the body of non-partisan members would been spurred on by the current political climate to carry on with the think tank’s work. “The work such a think tank does is essential for the country. You come out with reports and positions that are not only meant for the government but also for the Opposition – the government of tomorrow,” he said. The institute, which over the years has produced reports with proposals for public policy in areas ranging from health and the environment to immigration and the Constitution, underwent a restructuring last year, with the addition of 20 to 30 fellows to its board of 15 members, broadening its base of expertise. Since its founding in 2007, the institute has produced several reports which have been seen as successful in prompting change, including its first on reforming Mepa, largely taken on board by the Gonzi administration, and its report on remarriage, which led to the divorce debate. Its latest report, in May of last year, called for politicians to collaborate in signing up to a fundamental set of principles on governance and institution building. The report was largely based on advocating for a bipartisan approach to address the shortcomings in the Constitution, as well as governance deficiencies.